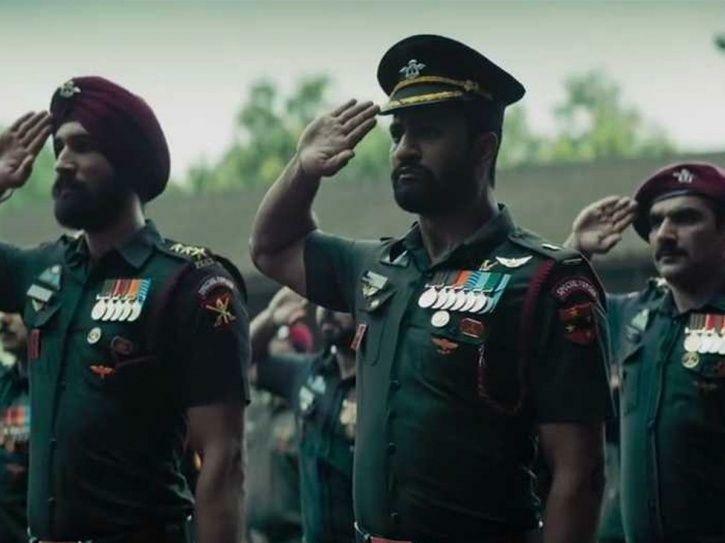 Vicky Kaushal and Yami Gautam starrer ‘Uri’ has not only turned out to be a two-hour duration ‘Bollywood Masala Movie’ but the thriller has left its mark on the minds of Jammu youths, who want to be a part of Indian Army and serve the nation. Playing in five cinemas here- ‘Uri’ instilled ‘josh’ in the youth and the nationalist forces of Jammu. In an atmosphere filled with patriotic fervour, the people were seen shouting ‘Jai Hind’ and ‘Bharat Mata Ki Jai’ during the film's screening, which has depicted the ‘2016 Surgical Strike’ by India in the Pakistan-occupied-Kashmir to revenge attack by four heavily armed militants on September 18, 2016, near the town of Uri in Jammu and Kashmir. It was reported as “the deadliest attack on security forces in Kashmir in two decades”. “I had goosebumps while watching the movie and my respect for the Indian Army has doubled thereafter,” Avinash Khurana—a college goer here expressed. “By sitting in cosy rooms during winters and in air conditioners during summers, we cannot feel what soldiers are contributing for the country,” he asserted and said that people of India must stand by them in every hour for the sacrifices they are making to make every citizen secure and safe. “Two of my close relatives are serving in Indian Army and I would love my children to be a Army men in future so that they serve for the country,” she asserted. “We are having fun, freaking around, going for shopping, move freely. It is all possible because of Indian Army and our security forces, who are round the clock standing tall and are always vigilant along borders vis-a-vis within hinterlands,” she added. “If we cannot contribute in a big way towards Armed Forces or the para-military forces, at least can give them respect when we face them,” Anchal Singh, a retired government employee said. However, ‘Uri’ has not only earned applauds from the Jammu public but also refreshed their energies and strengthened bonds besides filling them with new ‘josh’ of joining the Indian Army.